Many people assume that if your car fails an MOT you have to get it repaired right away with that particular garage that tested your car but you actually have a few options available. We will start by going back to the beginning and looking at when you booked your MOT. You are allowed to get your car MOT tested up to a month prior to the current MOT expiry date, the new MOT will also be matched to the same date as the current expiry date so you gain additional time on your MOT certificate. The system has now changed making everything computerised so you don’t need any of your old certificates although they are beneficial to keep for when you come to sell the car, you can find more information about an MOT from gov.uk here. You may have already known about the month period that you can get your car tested which means you know there is no need to panic if your car fails its MOT. Unless your car is really bad and the MOT tester reports it as not roadworthy then you can still drive your car until the MOT expiration date. This allows you to look elsewhere to get the repair work done for a better price, you can then return to the MOT testing station to claim your free re-test. Some garages however charge you half the price if you get repairs done elsewhere to it is best to check with them before you get your initial MOT test. If you aren’t happy with the MOT test that was performed The AA offer some helpful information regarding what to do. The earlier you get your MOT test the better as you will have more options if your car comes to fail, if you left it last minute then you have less time and limited options. It is an offence to drive your vehicle on a public road if the MOT has expired. There are however a few exceptions, you are allowed to be driving to an MOT test centre but it must be pre-booked and the same applies if you are driving to get the repairs done that were flagged in your MOT. 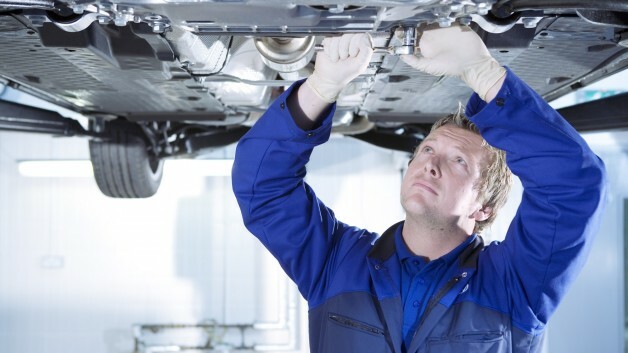 It makes sense to find the best MOT centre initially as this will save you time and money. A good MOT garage can test your car for you then offer a competitive price for any repair work if your car fails. Finding the right car garage and MOT testing station will be hugely beneficial and make your life a lot easier. Combine this with planning ahead and getting your MOT done as soon as possible will make getting your car MOT tested a lot less of a headache.